Miniature rusty metal fairy garden bird bath pick. Your fairies will dance with delight around this magical bird bath. 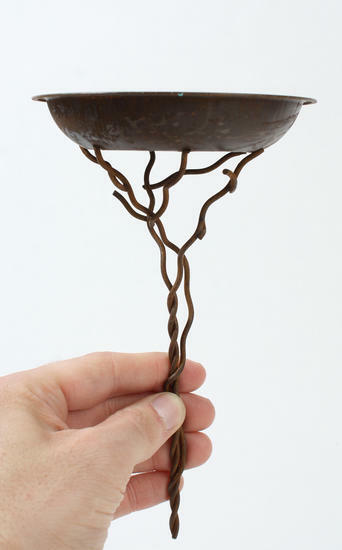 This whimsical bird bath is made from heavy gauge rusty metal and has twisted wires at the base to look like a tree's branches.